It’s been more than 70 years since Judy Garland sang about meeting her in St. Louis, but these days the Gateway City is singing a different tune – as the country’s most affordable metro for millennials homebuyers. A Redfin study showed that more than 88% of homes for sale in the St. Louis are affordable on a $68,805 annual salary, the median household income for millennials between the ages of 23 to 38 in the area. This is followed by Columbus, Ohio, and Pittsburgh, Penn. 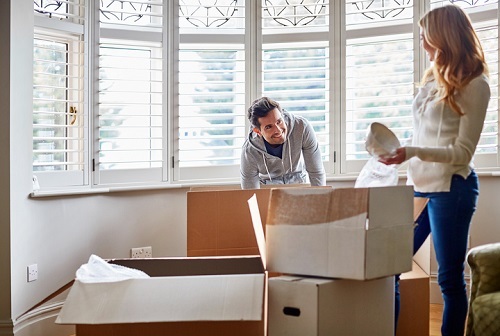 "Millennials who dream of owning a home will have better luck if they move inland to places like St. Louis, Columbus and Pittsburgh,” said Daryl Fairweather, chief economist at Redfin. “These cities used to have economies that relied heavily on manufacturing, and during the recession a lot of young people moved away in search of jobs. However, now these cities have more diverse economies based on education, healthcare and technology, and there are open jobs with salaries that are high relative to cost of living. But millennials may want to move as quickly as possible, because even in most inland cities the share of homes affordable to the typical millennial is shrinking as housing prices go up." Overall, 67.3% of homes across all the metro areas Redfin tracks were affordable for millennials in 2018, down from 71.2% in 2017. On the other end of the scale, the least affordable metro areas for millennials are all in coastal states like California, New York, and Florida. In Los Angeles, which had the lowest share of homes affordable for millennials in 2018, just 18.5% were within reach. San Jose, San Diego and San Francisco are also among the regions with the smallest portion of affordable homes for millennials, all with less than 40% of homes affordable to young professionals.